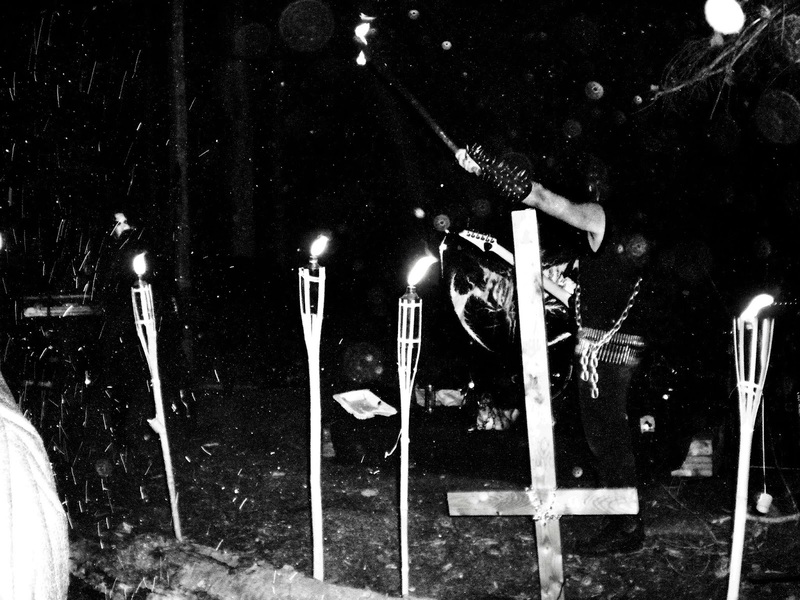 Mexico’s Funereus have been creating hateful, raw, black metal from their inception in 2008. Since then they have released some demos, an EP and a split release with Helsefyr which was followed by their debut album, “Profane Rite of Morbid Glorification” in August 2010. Funereus consists of Sargatanaz on guitars and Valefar on drums and vocals. 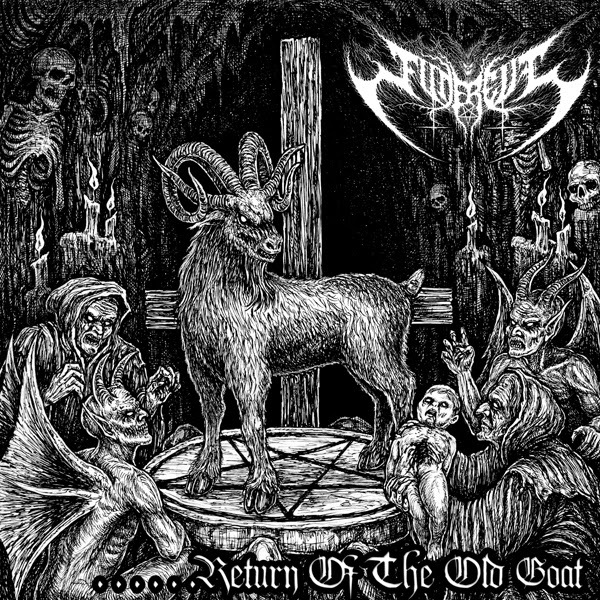 Following a four year wait Funereus returned to the fray in September of this year with their second full-length album “Return of the Old Black Goat” which was released via Forever Plagued Records. Featuring seven tracks and spanning just over thirty minutes this is a violent, primitive, blasphemous black metal storm that glorifies all things evil to the highest degree, with even the cover fitting this tone. There’s power, passion and aggression to Funereus’ music from the first beat right to its blasphemy filled conclusion, it takes no prisoners and never intended to do so. Opener, Unhallowed Tomb sets the standard and pace for most of the album – rapid, harsh and brutal. The vocals are blackened shrieks reminiscent of early Scandinavian black metal and the pace during tracks one to five rarely lets up as Funereus pummel us with truly fantastic black metal that’s as addictive as it is catchy. Track six, Ascending the Throne of Satan, starts at the same hectic pace as the previous tracks but stands out due to a breakdown at close to two minutes – this change in pace being used by Funereus to bestow upon us more satanic growls and haunting guitar work that add to the demonic atmosphere. When the pace returns it’s with a groove and, to a certain extent, swagger that you wouldn’t normally associate with this type of music, a piece of true genius and a very catchy track that’ll stick in your head for weeks to come. Closer, Umbra Atrox, is another highlight and another track that at times keeps the tempo slower. These variances mix things up nicely and provide a suitable balance to the album which prevents the tracks from sounding similar. The drumming during the course of the album is excellent – Valefar has a speed and precision with his drumming that must have taken years to master and because there’s no bass the drums feature nicely in the production mix making it impossible not to notice and be impressed. Return of the Old Goat is an excellent release as it takes a devilish hold of your attention that doesn’t let up. There’s a lot of Black Metal being released lately but there’s enough power, aggression, and attitude to this to make it stand out from the swelling horde - this is compulsive and addictive listening - a release most worthy of your attention. Return of the Old Goat was released by Forever Plagued Records on September 8th 2014.